I love, love, LOVE to travel. I've talked about this before, but I've been to 18 countries. I love absorbing all the culture and learning as much as I can of where ever I am visiting. Y'all, when I travel outside of the States, I make sure to do things: check out the snacks and check out the beauty products. It's fun to me to test them out and compare them to what we have here. I used to stock up when visiting or long for products once they ran out, but now many of them are available online. When I originally made this list, I had 126 items, but for today, I'm picking out just a few beauty products from around the world--that you can buy! Paw Paw Ointment--Made from paw paws (papayas) this is a do-it-all ointment. Think burns, blisters, etc. When I visited Australia, it was their winter, so I need something for my skin, and this really worked. Lanolin Lano--I just saw this at Ulta the other day! This line has a host of products, like their original ointment (pink tube), moisturizer (pictured), and products for lips (just like Bite Beauty's Agave Mask but cheaper). Vegetarian and baby-safe, however people are sensitive to lanolin. Kevin Murphy Hair Products--A great line of luxury hair care. Try the plumping wash.
Antipodes--I've tried only 3 things from this New Zealand skincare line, and loved them all. Want more? I did a haul of Australian Beauty Products right here. Soap and Glory--I'm hoping you've heard of this fabulous (and pretty packaging) body care line. Find it at ULTA and now even some Walgreens stores.costa rica--honey? Bourjois--A high street makeup brand (technically from France but owned by an American company) with a lot of great products like their healthy mix serum foundation (if you want a review, let me know), lip velvets, and mascaras. I associate them with the UK because I never encountered this brand in France. 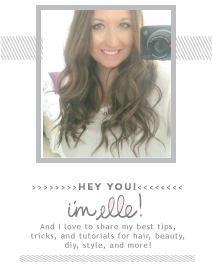 Likewise, when I started beauty blogging, I never saw my fellow French bloggers mention it but it was a staple for my English vlogger/blogger friends. It will be more expensive here due to shipping. Try Amazon or Asos. Sleek--I'm a huge fan of their eye shadow palettes. I could have done a series just on France alone. A visit to the Pharamcie a must-do. A lot of the products are still exclusive to France, so I picked just a few. But there's so much more! 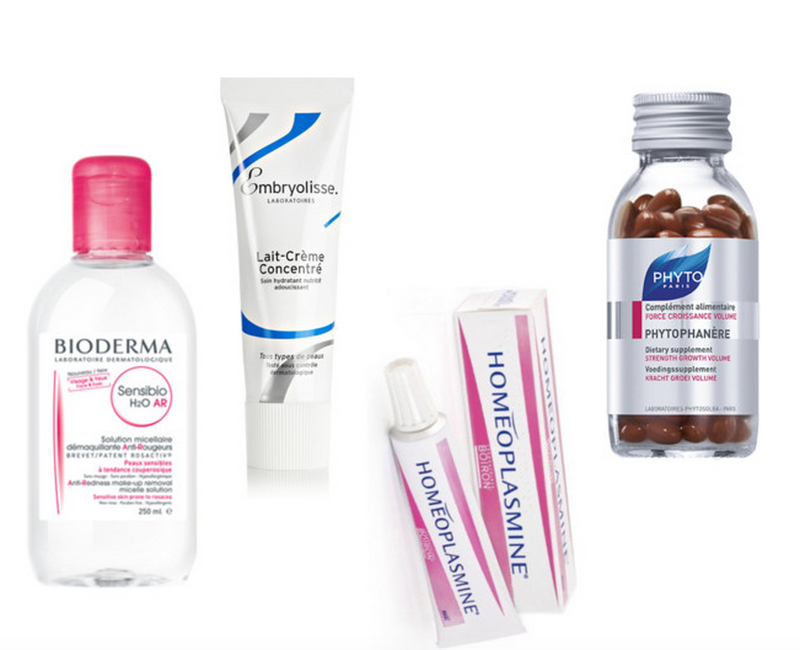 Bioderma--I've tried just about every micellar water on the market. This was the first one and still my favorite. Try Amazon, beautylish, or Frends Beauty for it. Embryolisse--I swear this isn't sponsored, despite this being the third time in the past 2 weeks I've mentioned this brand. I love their moisturizer as a primer or as an overnight mask. Try Amazon or Frends Beauty. Homeoplasmine--Another ointment (what is my obsession with these?) and I even use this to treat spots. Phyto--One of my favorite hair care lines. I swear by their supplements for thicker hair. But their masks, treatments, well dang, everything I've tried has been good. Have you tried any of these brands? What a fun post Elle! All of these products sound amazing! The Kevin Murphy plumping wash and Bioderma micellar water are products I'd like to try! I would love it if you did a review on the Bourjois serum foundation! I remember when you shared some of your beauty finds from Mexico and I thought that was so cool to find beauty products in different countries... I never would have thought of that! 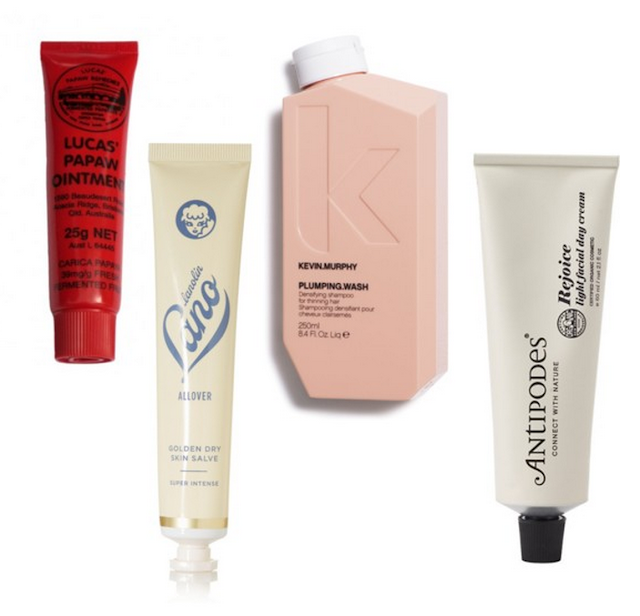 I have tried Kevin Murphy's line of hair products and have loved them! I've tried a few of these already and you have some great suggestions! um supplements to make my hair thicker? sold! 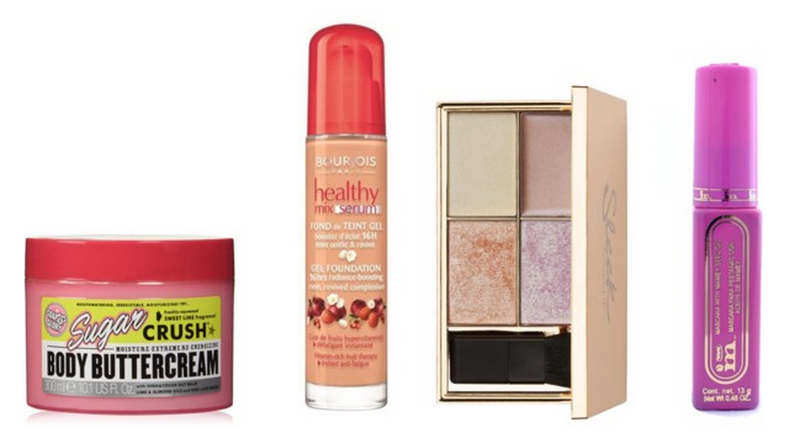 and i've heard about that soap and glory line and i need to just try it already :) good round up! Great post Elle, I love buying new beauty when I travel! I've never tried any of these. Thanks for sharing! You have me wanting to go into a beauty store while we're in France! I love trying new products and brands from different countries. I wish they sold Bourjois in the US. Sleek Makeup and Keiko interest me too. I love trying out beauty products from different countries too! It's so fascinating to me! I love the paw paw ointment, I did a swap with one of my blogger friends who lives in Australia and she sent me it and so many other goodies. I've always wanted to try sleek makeup! I hope you'll do more posts like this! You are making me want to travel overseas again! What a fun post! That Sleek eyeshadow palette is gorgeous! This makes me want to travel! I loved trying all the French products when I was studying abroad. It was so long ago, I cannot remember if it was these or not! I really want to try Sleek products...it's a brand I often forget about. Great roundup, Elle! Love hearing about what people in other countries use! I've really wanted to try the Paw Paw ointment and Sleek products. Some day, I hope to make it to the French pharmacies! Paw Paw Ointment sounds like a great product! I need to try and find some! And I love Soap & Glory products! 18 countries?! HOW AWESOME is that! I have heard Kevin Murphy products are amazing. When I run out of my micellar water I'll buy the Bioderma next for sure! I so want to try the soap and glory line. Thankfully I know ulta sells it. Ive never tried any of these products! But they all sound amazing! I live off Lucas Papaw Ointment! I love Aesop as well - have their hand balm on my desk at work at the moment! And oh, I LOVE Boots!! I could spend hours in there..!! What a neat post, Elle! Love seeing all these new products from around the globe! I love Soap & Glory products! Just saw a big display the other day at Walgreens. I really want to try the Paw Paw Ointment and Homeoplasmine. Such a fun list! I need to try the products by Phyto. Ahh yes, that paw paw ointment does wonders. Not so much for me, except for my lips. I know a lot of people who also use it to treat dry skin and blemishes etc. Sadly it doesn't have an amazing effect on me. But it is pretty awesome for dry lips. I'm so happy because I've tried a good number of products that you listed here, Elle! 18 countries, that's awesome! I love to travel too but haven't been able to do it as much these past few years. I need to try some of these, most of them I've never tried (or even heard of). I have tried Kevin Murphy beach spray though and I really liked that! 18 countries? That's so cool. I wasn't super into makeup when I went abroad so I didn't try anything, but now I wish I had. Thank goodness for the internet! I've heard of some of these brands before. I know a lot of YouTubers are loving the Sleek highlighters and the Bourjois serum foundation. 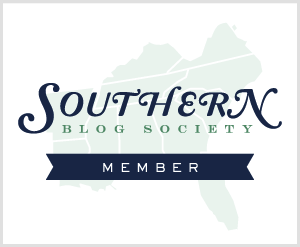 Great post, never heard of these products except the sleek palette. I have tried some of these products before and I am interested in trying other products from around the world. Thanks for sharing! Ooooh this is a great post!! 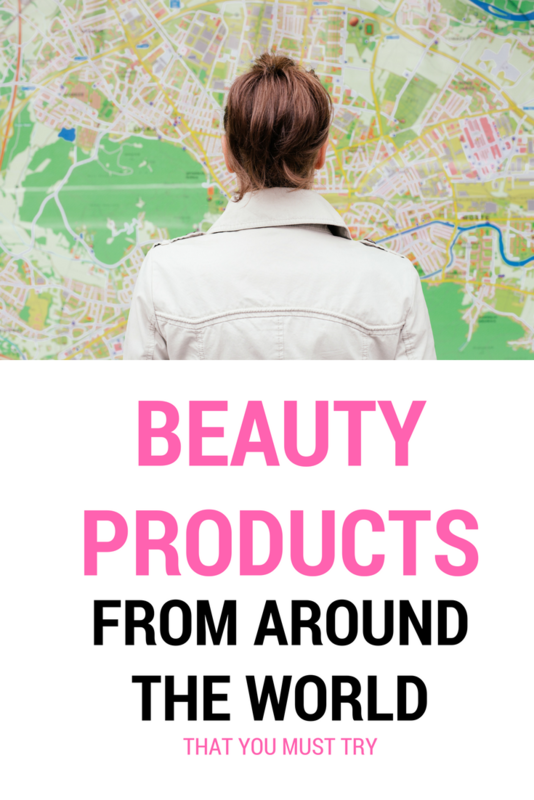 I've only heard of a few of these, but now I want to try several of these products! I love travelling also and I enjoyed your post like many others !